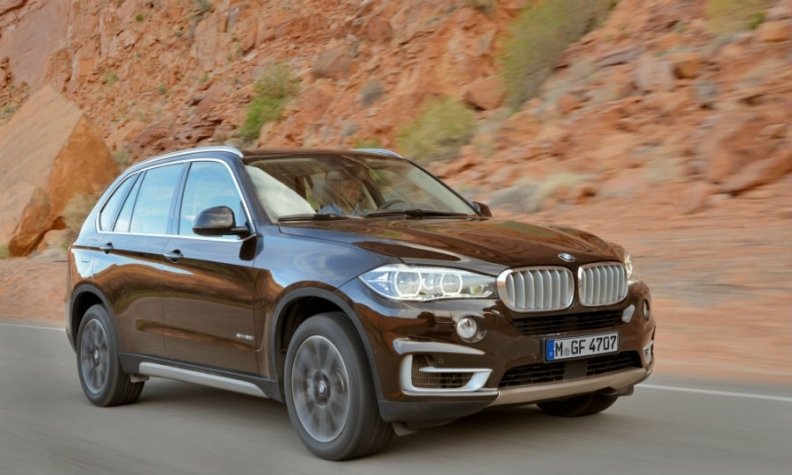 The X5 accounts for about 30% of BMW's global SUV and crossover sales. BMW says its latest X5 is quieter and more comfortable than the previous two generations of the SUV. The X5, the brand's largest SUV, is a key model for BMW in the United States, where it is built, and in China, but the carmaker expects to boost X5 sales in Europe by offering a four-cylinder diesel engine for the first time. The X5 looks similar to the outgoing model. What has changed? The X5 has a new body and every component is new. BMW carried out one of its biggest customer research projects to date for the X5. Customers' main complaints were about noise and lack of comfort. The new X5 was developed to improve noise, vibration and harshness, as well as driving comfort, project leader Siegfried Mueller said. What new technology does the X5 have? Autonomous driving in stop-and-go traffic at speeds up to 40kph; automatic parking; a plug-in hybrid powertrain is due in 2015. A third of X5 sales in are the United States, a third in China and the rest in other global markets including Europe. The X5 is primarily a road car, which is why BMW refers to it as a sport activity vehicle (SAV) rather than an SUV. With the X5, BMW seeks to woo drivers away from luxury sedans by offering a higher driving position without sacrificing sporty dynamics. The 218-hp 2.0-liter twin-turbo unit will offer fuel consumption of 5.6 liters/100km (41.6 mpg U.S./50 mpg UK) in the two-wheel drive version. Currently up to 90 percent of X5 buyers in Europe choose variants with the automaker's six-cylinder diesel. "The X5 has an extraordinary importance to us," said Herbert Diess, BMW's development head. "Almost 30 percent of our X-model sales are X5s." The X5 is built for global markets in Spartanburg, South Carolina, USA, alongside the X3 and X6. The X4 will be added to the plant next year.